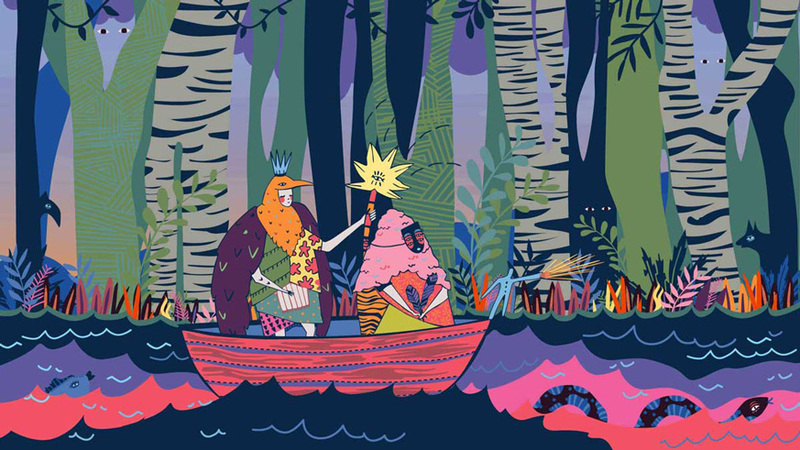 We’re fast approaching festival season and we’re thrilled, as ever, to share the visuals by Mia Taninaka and Lara Allport for Lost Paradise Festival 2018. This year, instead of creating just one hero illustration, we developed a suite of festive frames, telling a story of two adventurers on their voyage through hidden wonderlands. Mia sketched the frames, adding colour to some to direct the palette, and then Lara digitally remastered each one to produce the stunning finished result (keeping everything on separate layers so the animation team could work their magic).